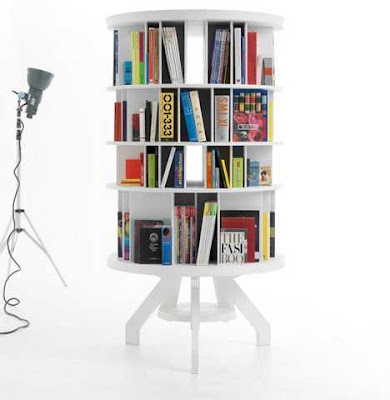 designer roderick vos has created this unique circular shelving unit for the dutch company linteloo. it will be on show at the salone del mobile this april, where visitors will be able to spin it around in person. 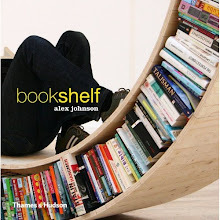 like a carrousel, the shelf can be spun around to access the books at the back.